A garbage disposal probably won’t dominate your kitchen, but it certainly adds convenience and practicality to your home, eliminating food waste at a flip of a switch. Unfortunately, the more you use your sink disposal, the more likely it is to get backed up. If you’ve got a clogged sink disposal, don’t fret. 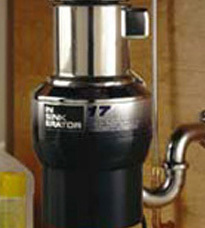 Dean’s professional plumbing crew has the equipment and experience you need to clear out any clogged garbage disposal. Dean’s offers garbage disposal installation and repair services for the Minneapolis, MN metro area. With more than 35 years of combined industry experience, you can count on Dean’s to the job done right and fast with out the mess. No clog’s too big or too small. Call today for our professional garbage disposal repair & installation services.